← Transforming Your Prayer Life! 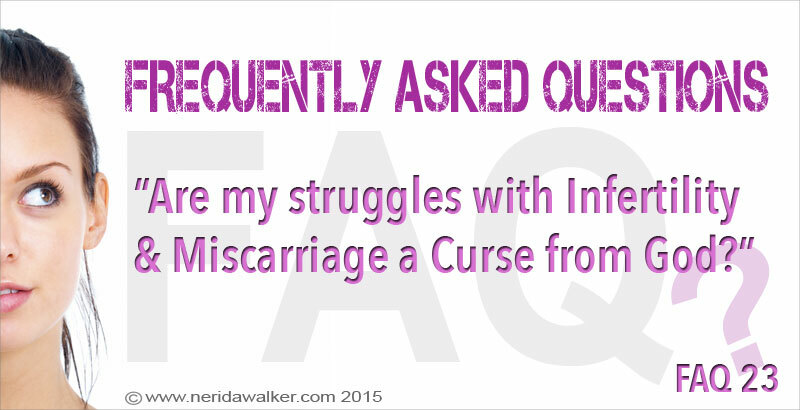 FAQ 23 – Are my Struggles with Infertility and Miscarriage a Curse from God? Are my struggles with infertility and miscarriage a curse from God? 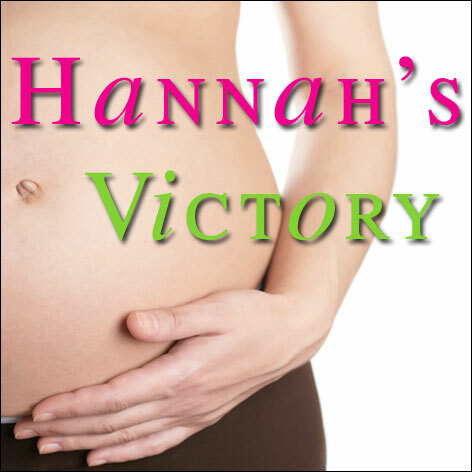 Infertility and miscarriage are NOT a curse from God! We must always remember that from the beginning of time , God’s plan for ALL of His creation was fruitfulness! God created and commanded mankind to be fruitful. There are some verses in the Old Testament that on the surface look like barrenness came from the hand of God BUT when you understand how the Old Testament was written and what was happening at the time then these verses can be explained and rightly divided. However, its not necessary to cover this here because the reality is we are under a better Covenant based upon better promises which CANNOT be broken. Our New Covenant was made between God and His son, Jesus and it has ALREADY been ESTABLISHED for us! God cannot block, alter, withdraw or delay what He has already freely provided! This is the GOOD NEWS of the New Covenant! So this means what Jesus purchased for us on the Cross is already freely available to all who believe in Him. So why do we still suffer? The simple truth is that infertility and miscarriage and whatever causes these are different forms of sickness, disease or complications that occur in the mother, father or unborn baby. These are not from God! Romans 5:12 tells us that death entered through sin. The answer is clear – all forms of death came in at the Fall. One of the reasons why we may suffer today is because we live in a fallen world and we live with fallen men who don’t listen to God or respond in love etc. There is also an adversary. BUT once again stick to your New Covenant because Jesus has ALREADY paid the price for sin and its consequences on the Cross. Psalm 103:1-5 Bless the Lord, O my soul; And all that is within me, bless His holy name! 2 Bless the Lord, O my soul, And forget not all His benefits: 3 Who forgives all your iniquities, Who heals all your diseases, 4 Who redeems your life from destruction, Who crowns you with lovingkindness and tender mercies, 5 Who satisfies your mouth with good things, So that your youth is renewed like the eagle’s. The PROVISION for healing of ALL FORMS of sickness and disease has already been made available because God and Jesus have already finished the work for us. They are both seated and resting from their redemptive work. NOW it is time for us to renew our minds with who we are IN HIM and what we have already inherited so we can seek God on revelation knowledge on how to PARTAKE to see this outworking in our lives. Whenever you read the Bible and want to apply it to your circumstances today ALWAYS filter what you read through your New Covenant and the finished work of Jesus. That is our position today and what we have available to us. I personally believe that what we have in Him is enough for us to experience a breakthrough in any area of our lives. Jesus is God’s answer to the Fall and to how to overcome what we now experience while living in a fallen world! Another reason why we suffer in this and other areas of life is because we lack knowledge and understanding. If we don’t know God has already provided the answer for us then we won’t know how to partake in it with boldness. Unfortunately what is commonly taught is from peoples’ personal experiences. We have 101 traditions and doctrines of men and reasons formed from our own understanding on how God works or doesn’t work today. Most of which undermine Jesus and His finished work in our lives. So if you want the truth to be established in your heart and minds then stick to Jesus and continue to meditate only upon what you have in your New Covenant with Him!